Roof painting is an extremely popular choice in Melbourne and throughout Australia. This can improve the look of your old roof tiles and possibly add value to your home. The downside is that generally roof coating is easy to spot, looking a little unnatural, and most people realize the old brittle tiles remain underneath. The roof painting will need to be re-done every few years. Several thousand dollars every few years quickly adds up and the real cost of roof painting or roof restoration needs to be considered. The roof is a harsh and fully exposed part of your home. The paint is subject to extreme winds, blistering heat and harsh fading UV rays not to mention acid rain and large hail storms. It is a big ask for a paint to stand up to these punishing elements, year upon year. The roof coating on a metal roof is baked on at the factory not just applied with a spray gun. Asphalt Shingle Roofing Company can replace an old tiled roof or metal roof with a brand new American shingle roofing system complete with 30-year manufacturers warranties. The lightweight system can replace any style of roof with no costly strengthening of the roof frame required. There are no exposed metal valleys and large flashing’s that will rust over time. When you consider the hidden costs of roof painting, a new asphalt shingle roof is a much cheaper option. 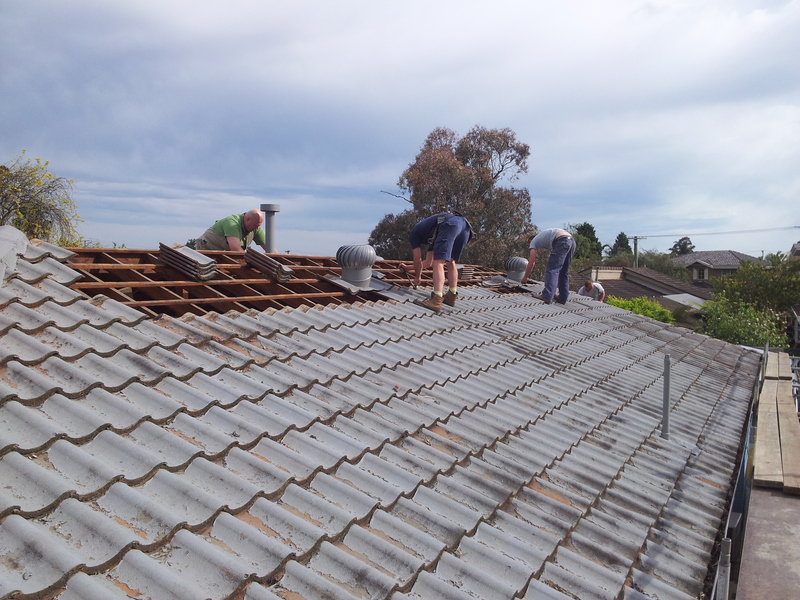 The new shingle roof will really stand out from the masses of roof tiles and Colorbond. It also adds considerable value to this often neglected part of the house. 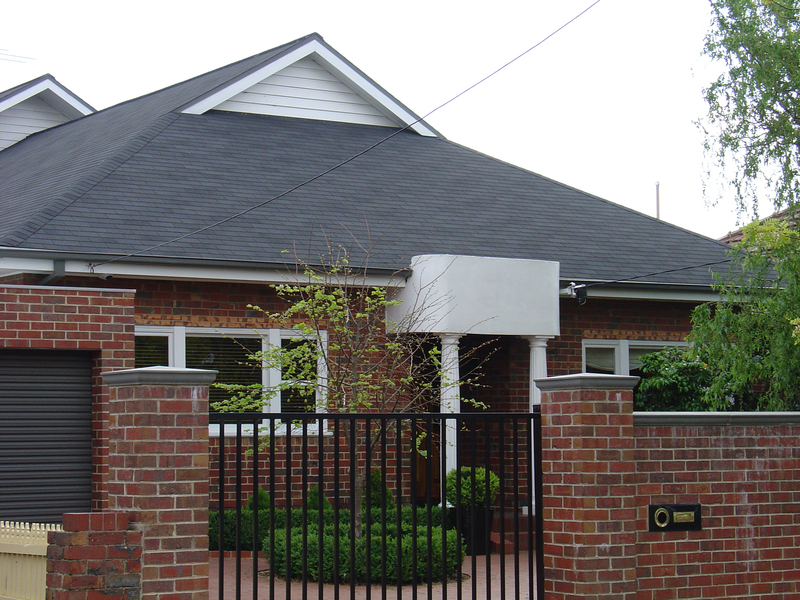 Call us for a free shingle roof replacement quotation or for some expert advice. Our IKO asphalt shingles come with a 20 – 40 year limited manufacturers warranty’s depending on the style of asphalt shingle purchased. This includes a three year “Iron Clad guarantee” which is the normal time in which any manufacturing defects will be seen. If any defects arise within this three year period full replacement and installation will be offered. Just took a look at Boral’s guarantee and in my opinion it is a little narrow in scope. It warrants that Boral tiles will meet A.S 2049 with respect to strength and water absorption. If any tile fails this standard Boral will AT ITS DISCRETION, either repair or replace the defective tiles, supply the equivalent tiles or pay for their repair, replacement or substitution. any colour change, shade variation or sheen/ sealer weathering. Cleaning your tiles with chemicals. Not a lot in that warranty. If you want your concrete tiles to look good you will need to have them painted at a cost of several thousands and this process will need to be done every 5 – 10 years. This starts to cost a lot. Richard, why do you still lay Asphhalt Tar Paper, instead of Polyester breathable roof membrane. In England tar paper no longer sold or stocked, it faded out around about 1960, and the o-l-d- roofs we’ve seen done with it are comical in the way its cracked, peeled away and perished, So why do they use it in Oz? Bob from England. Hi Bob, We used to use “Asphalt Saturated Felt Paper” but as you say it doesn’t last very well, bubbles and distorts when wet, tears easily and can lift the shingles when not installed perfectly flat. As you say it is an old product that should not be used. Unfortunately people still use it because it is cheap. Last year we started using IKO’s Roof Guard Premium Synthetic Underlay which if far superior in every way. It comes on a 90m2 roll, is much wider and easier to install. The white colour keeps the roof cool while working and it is tear resistant. Being water proof this underlay can be left on in the rain and if necessary can be used to keep the roof dry until the shingles are installed. It virtually can replace the need for heavy and expensive tarps. Finally being synthetic it should last a lifetime, so even if the asphalt shingles start to deteriorate the roof will stay watertight. The synthetic underlay is also brilliant for roof replacements / re-roofs as you can strip and ply certain areas, install the synthetic underlay and the roof will remain dry.